Why the black box magic? 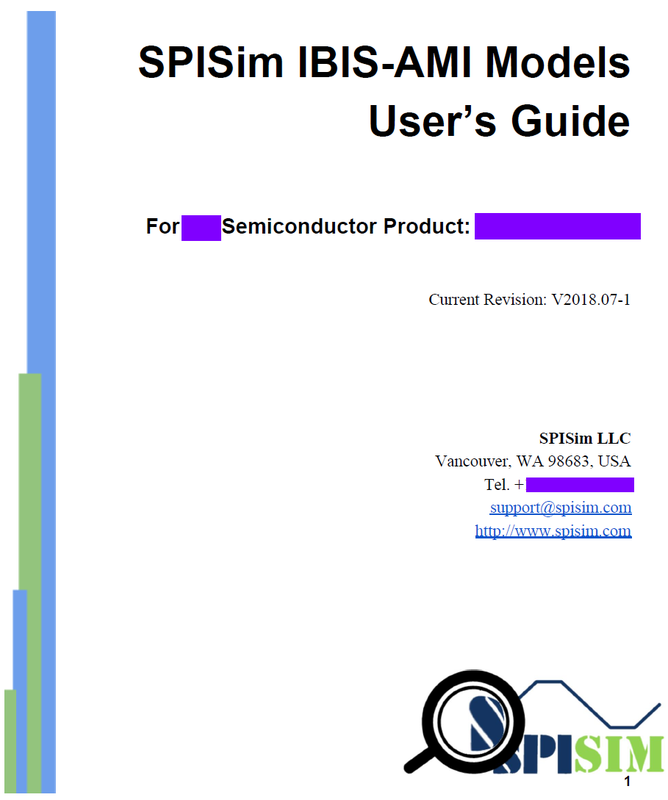 In contrast to other system models such as T-Line’s RLGC data, S-parameters or even traditional IBIS model, the AMI model itself is a black box. AMI models are both platform and OS dependent. They are in compiled binary format in the form of shared library… “.dll” (dynamic linked library) on windows and .”so” (shared object) on linux-like system. 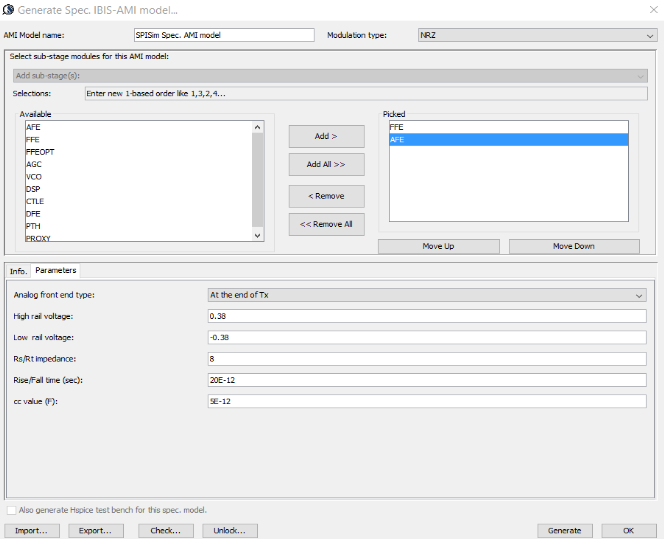 The other part of the ami model, the .ami file, is indeed in plain text holding model settings. 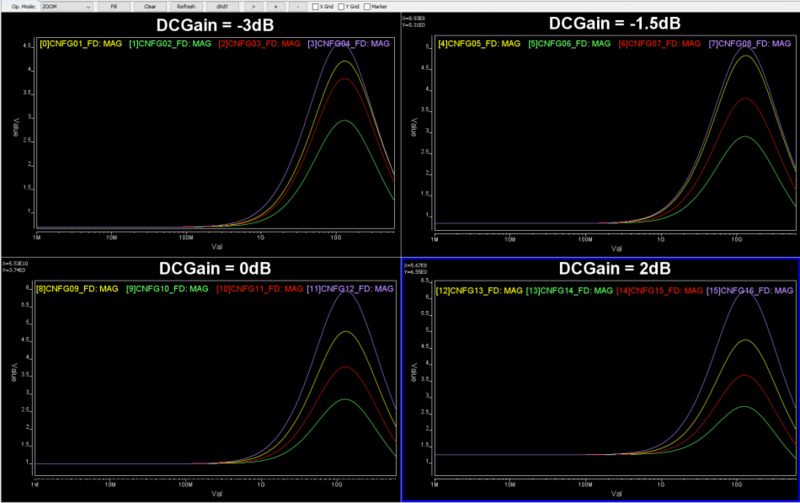 However, it needs to work closely with the associated .dll/.so AMI model and can’t be changed arbitrarily. For a model developer, even if he/she has the skills of the C/C++ coding and .dll/.so compilation, the whole process is still very tedious and error prune. For example, the same compilation and testing need to be done twice on windows due to the 32/64 bit difference. It’s even worse on linux. Different machines or OS need to be tested separately because no only there are different linux “distros”, different environments or IT set-ups may also cause discrepancies. 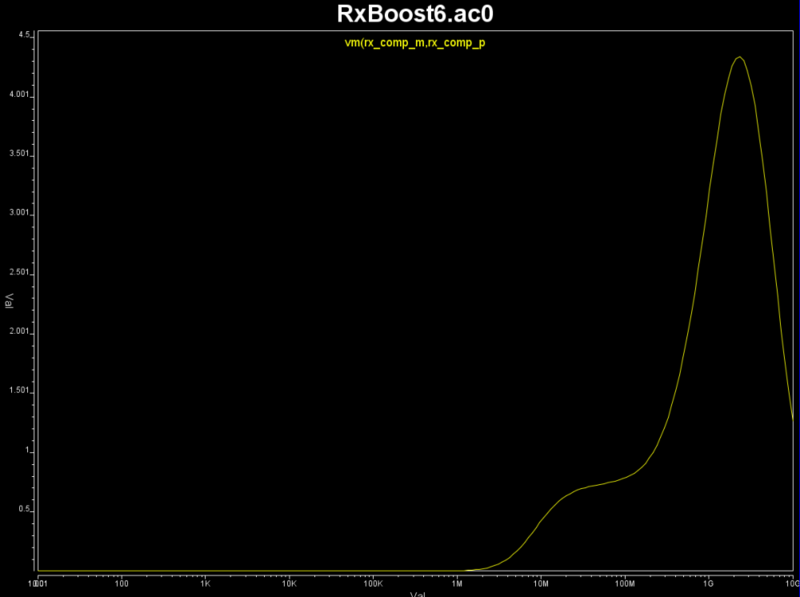 As an example, the usage of “boost” or some other libraries like GSL are very common and widely used in C++ engineering/scientific computing development. However, they may not be included in all IT-built, production oriented environment. 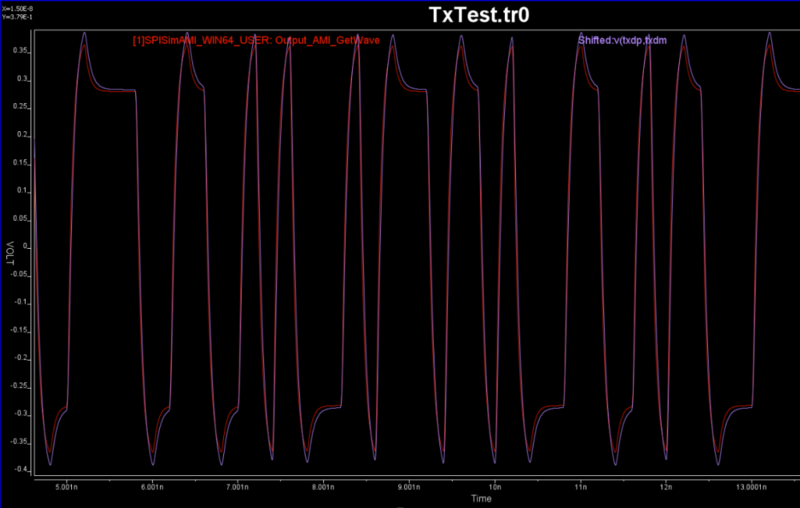 As a result, AMI models running perfectly fine on the developer’s system may fail to load on others. 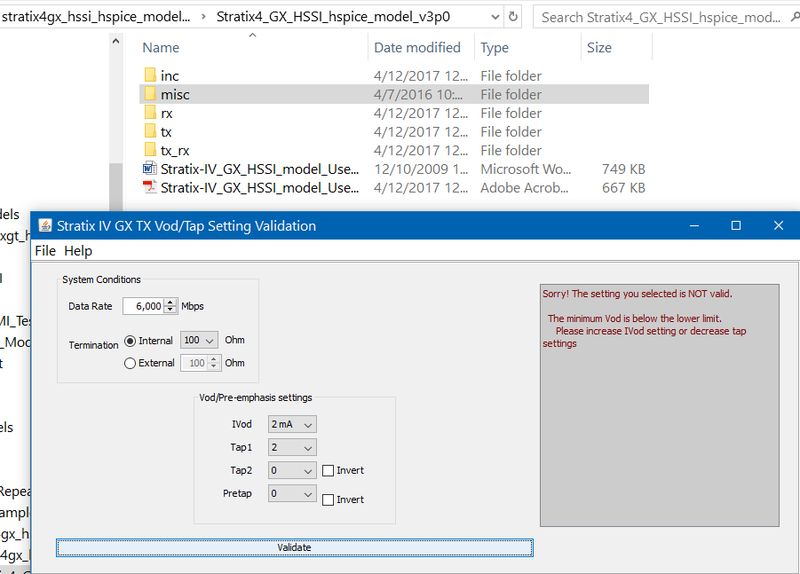 To be on the safe side, one usually needs link these “non-essential” libraries statically into the .so file, strip symbols to reduce size, and then test on different machines (virtual or not) to be assure for maximum compatibility. These details may explain why AMI modeling charge has been very high in the past and somewhat monopolized by very few companies. 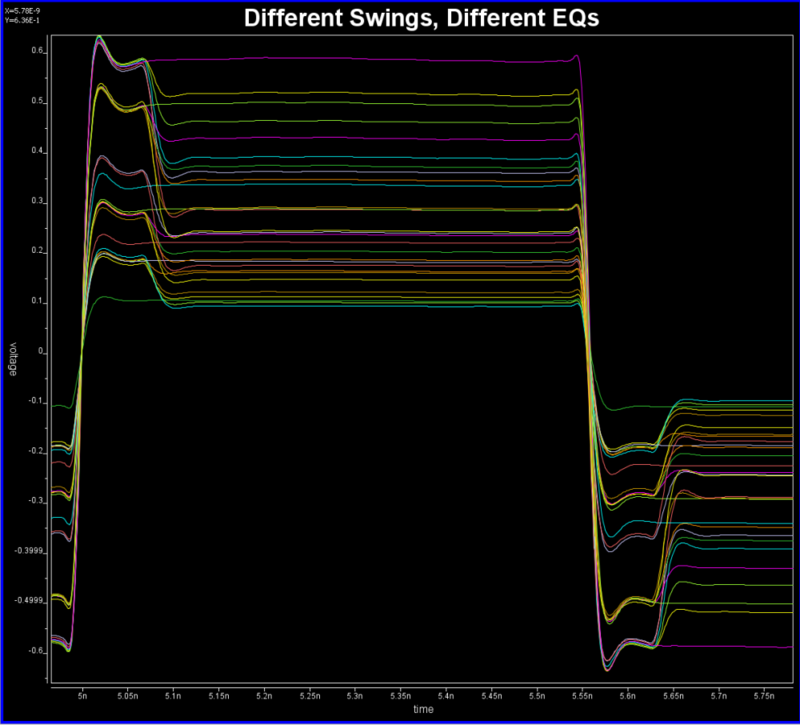 In previous posts, we mentioned the similarities we felt between a circuit simulator and an AMI model. 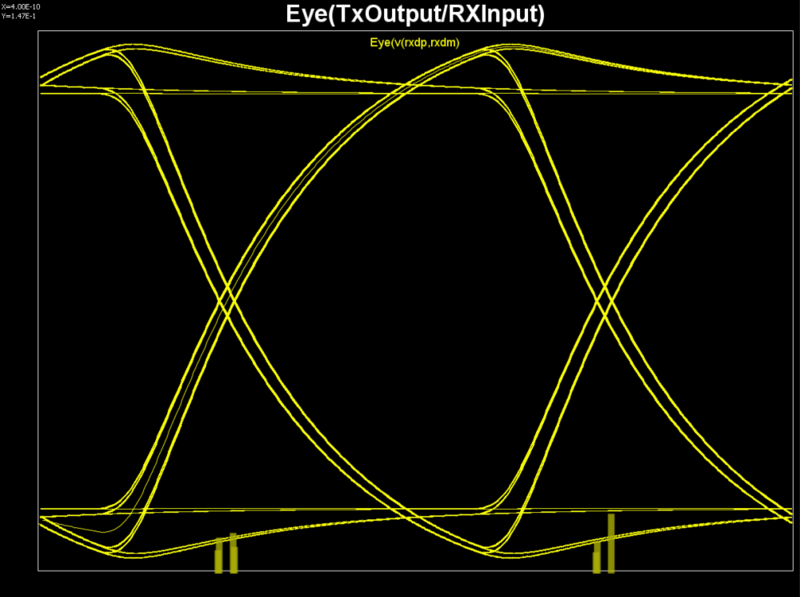 While a purposely built circuit simulator (like those for cache or memory circuit etc) may run very fast and efficient, a general purpose (e.g. MNA based) simulator usually is suffice for most of the design work. 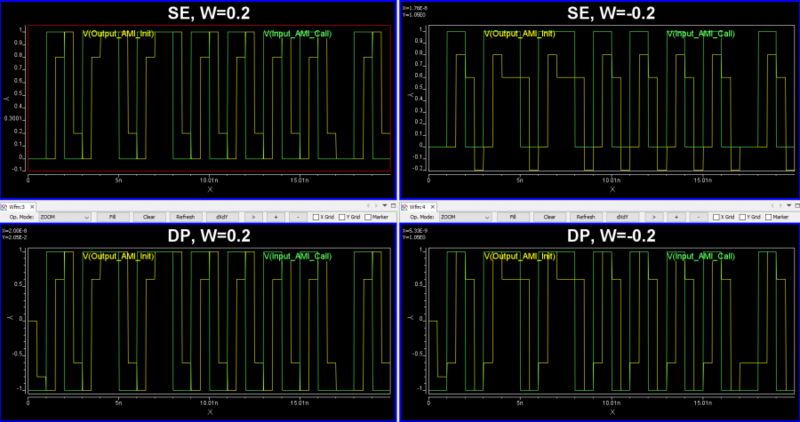 In these simulators, primitive device model such R/L/C/V/I are built-in, even more complicated ones such as MOSFET, T-Line, IBIS are also included and configurable via external files (.snp file, .ibs file and .tab). This simulator, compiled to native format to maximize the performance, are also platform and OS dependent. However, they do not need to be design specific. Those configurable aspects are left in the netlist file…similar to the plain text .ami file. When more sensitive information needs to be provided to the simulator, such as the process file or design IP, they can be encrypted such as “encrypted hspice” does. 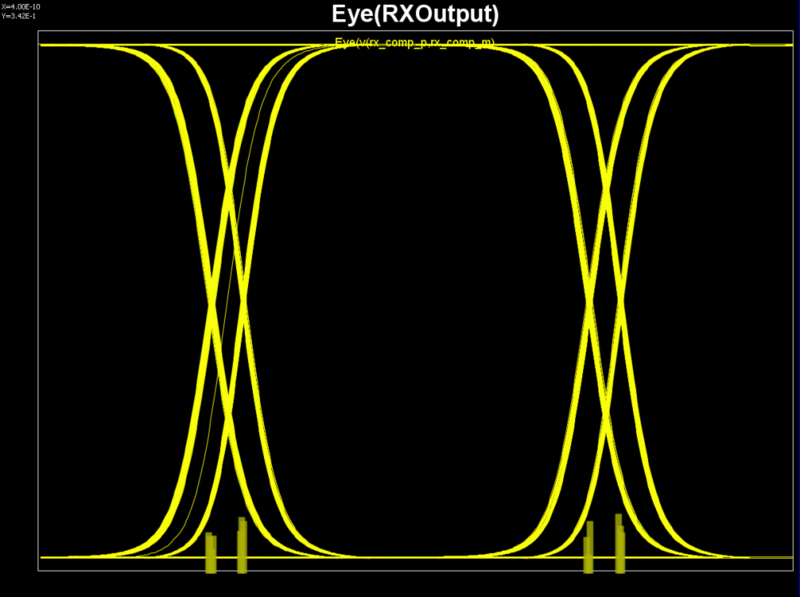 The assumptions implied implicitly in AMI channel simulation is that the input impedance to the AMI model (black box above, such as Rx model) are infinitely high, same for the output stage of a AMI Tx circuit. 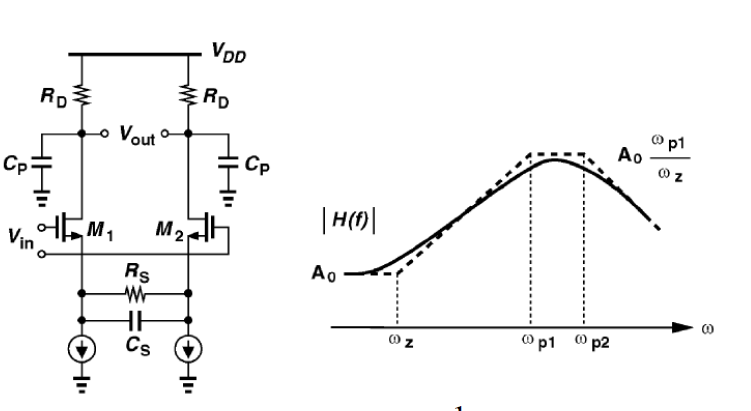 So we can imagine two voltage controlled voltage sources (VCVS) with gain = 1 are used at both input and output ends, with the AMI model sitting in the middle to transfer circuit block’s response between stages. 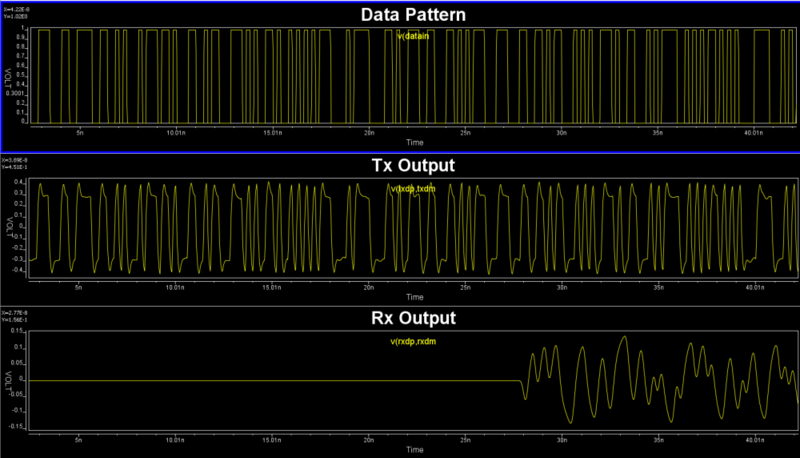 Parameters to different modules are apparent and omitted here. Construct an AMI model this way will enable module being reused more easily. With that said, the example above still has two assumptions: the first one is that only three stages (i.,e. 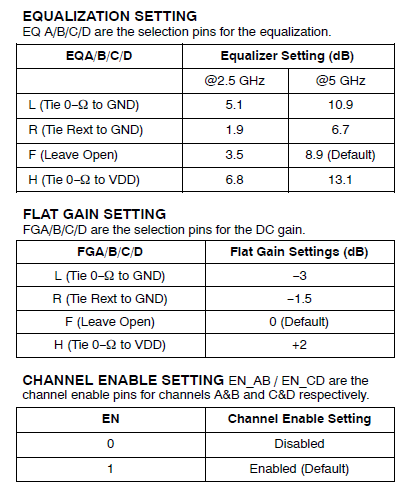 CTLE, DFE, CDR) are used and their order are fixed. 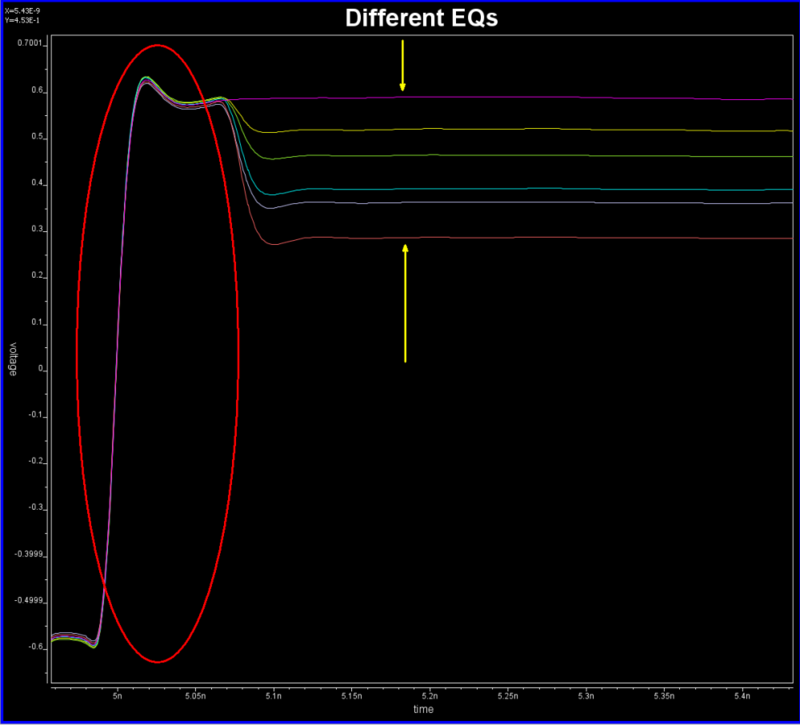 What if user want an AGC up front or LPF filter in between? Do we need to rewrite the codes and compile/test again? The second assumption is that these module are cascaded stage by stage (mostly true for SERDES design) and each block has only one input and output (not necessarily true even for SERDES), These two assumptions are not necessarily true for other design. 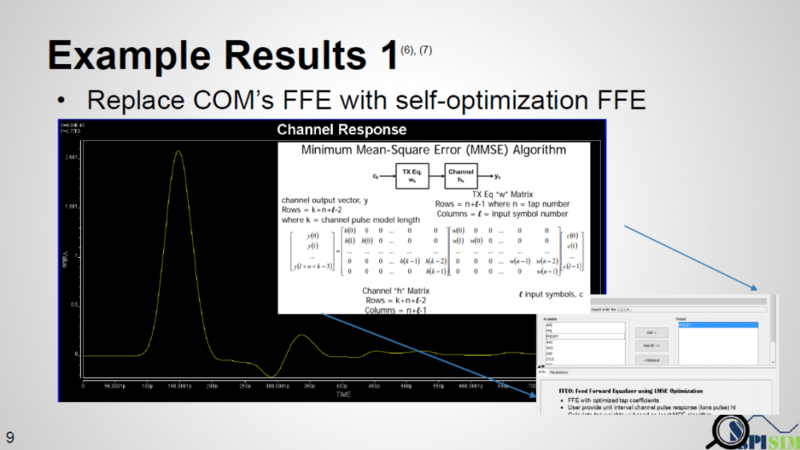 So we believe that they do not need to be “hard coded” and compiled into the rigid AMI model. 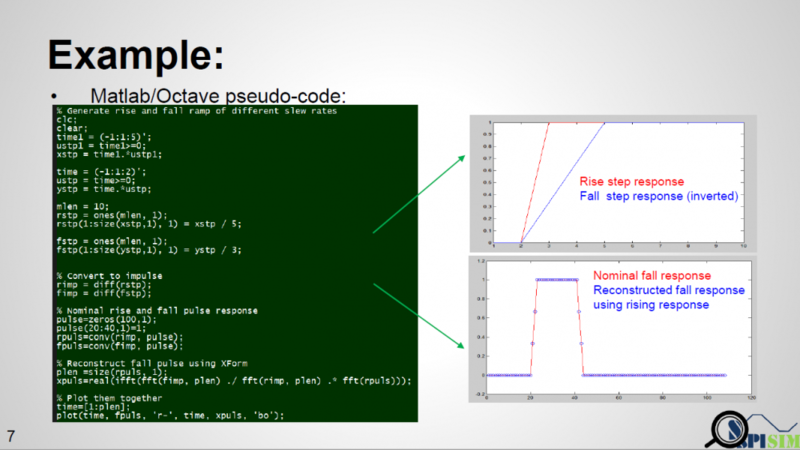 In normal modeling process, one usually need to translate a circuit or a module’s response into describable behavior before its C/C++ codes can be written. 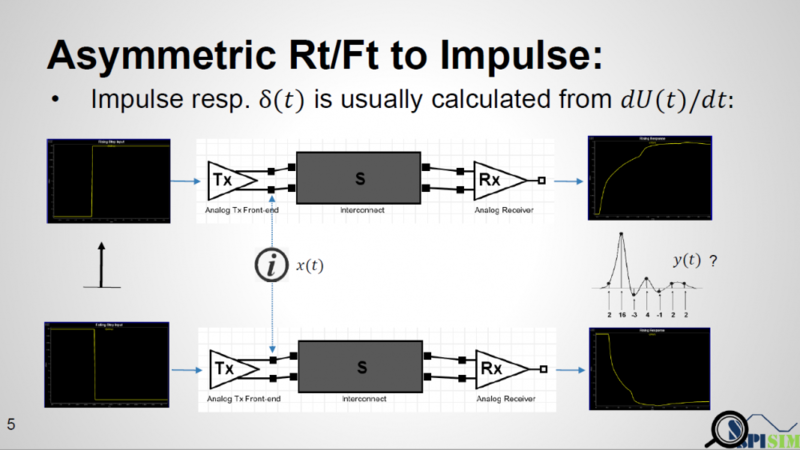 For example, if we know this is module is a LPF (low pass filter) then we only need to get its frequency response in order to do IFFT and perform convolution in time domain. However, some blocks may not have close form formula or an easily describable behavior. 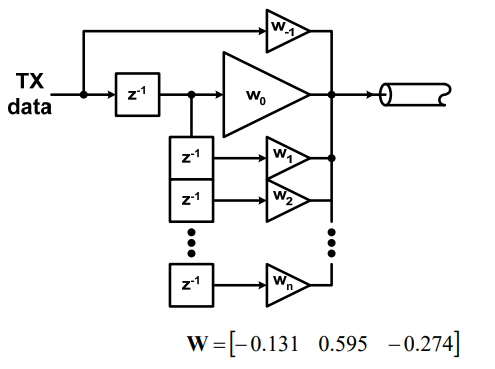 Is it possible to embed a “mini circuit simulator” in a block so that its input and output will be calculated automatically? This is certainly possible. 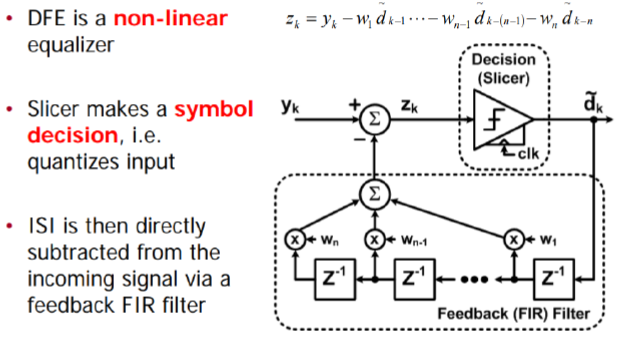 In fact, one can even implement a S-parameter block or T-Line block to serve as analog front end of the AMI model (for example, to represent a package model). In SPISim’s case, because we have developed an in house circuit simulator and associated device model, we simply need to construct a time domain PWL source representing input “impulse_matrix” or “wave” data, then run mini circuit simulation and retrieve output from simulator’s API (or even waveform on disk) and give back to the channel simulator on top. As one can see, there are a lot of techniques or magics can be applied to this .dll/.so black boxes. Because compiling platform/OS dependent binary are not a fun, it’s our belief and practice that we should compile a comprehensive AMI model and reuse it as much as we can. The configurable part should be put in the .ami file. 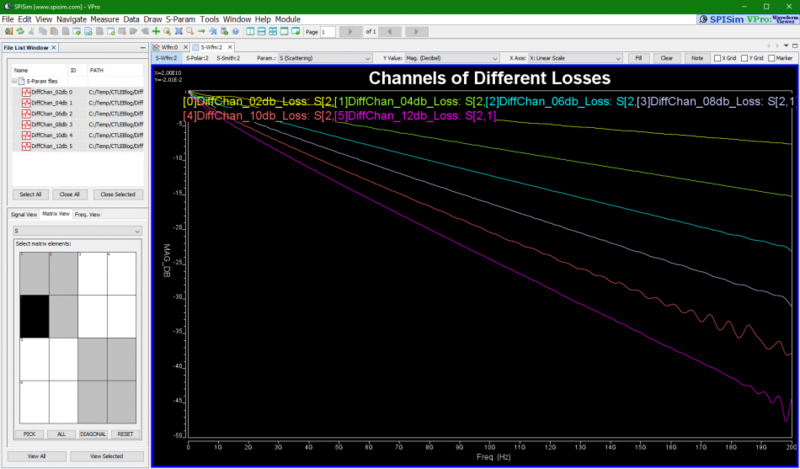 The “Reserved_parameters” (boxed in green) are for channel simulator to consume. The keywords used here are defined in the spec. and need to be used accordingly. 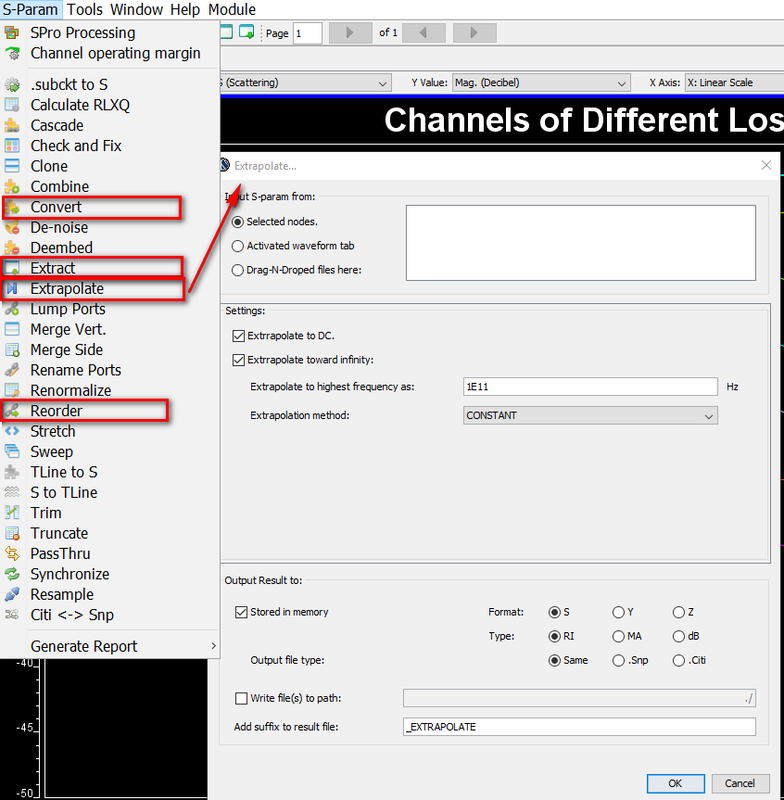 All spec-compliant channel simulator needs to be able to process info. in this part (in reality, we do see individual companies defining their own keywords due to aforementioned monopoly situation). The “Model_Specific” (boxed in red) portion, on the other hand, are only for model to consume. It’s not channel simulator’s business to judge and interfere how they should be defined and be used. As a result, we can perform many creative techniques here. Simply speaking, one can embed lots of information in the .ami file to convey to the underneath .dll/.so models. Common encryption can be used to protect sensitive information. 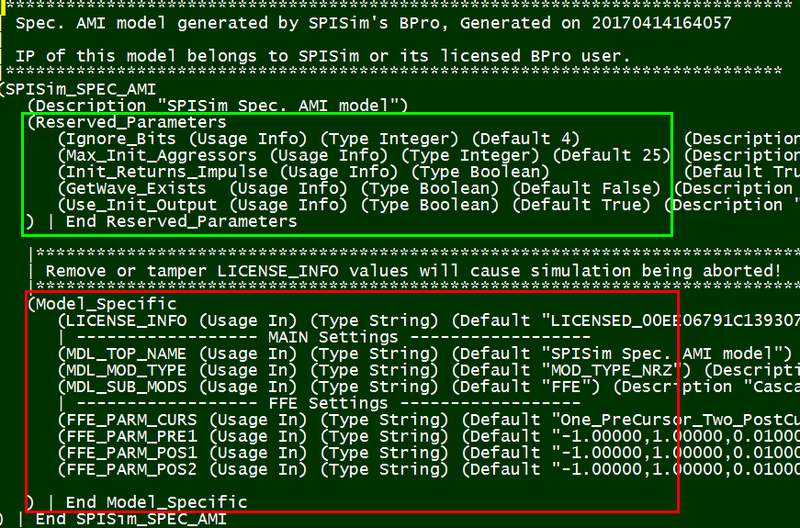 For example, the reason why SPISim can release our AMI models for free to generate and use is because our AMI .dll/.so files require a license setting and a time stamp and/or data dependent values are part of the license info. Thus, a model will expire after certain time, the parameters can be changed if locked, and the license info can’t be tampered. This external file can also be encrypted up front and decrypted by the .dll/.so file on the fly. 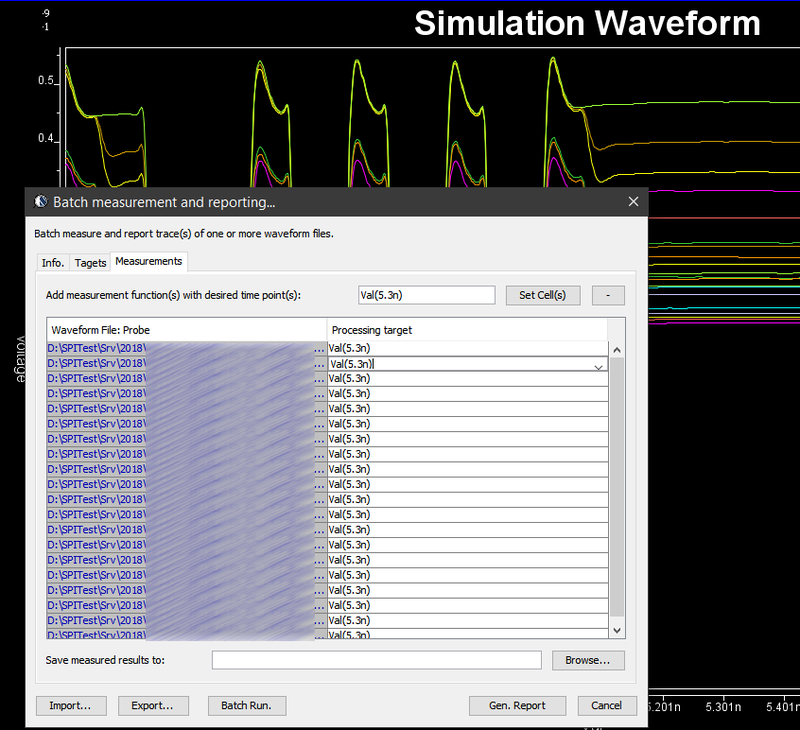 It can be a setting table, a frequency response, a S-parameter or a netlist to support the “mini-simulator” block within the AMI model. From this point of view, while the .ami file is plain text, it can still be like a black box and many aforementioned techniques to minimize the re-coding/re-compilation of the .dll/.so file can be used. The first model is from Altera. 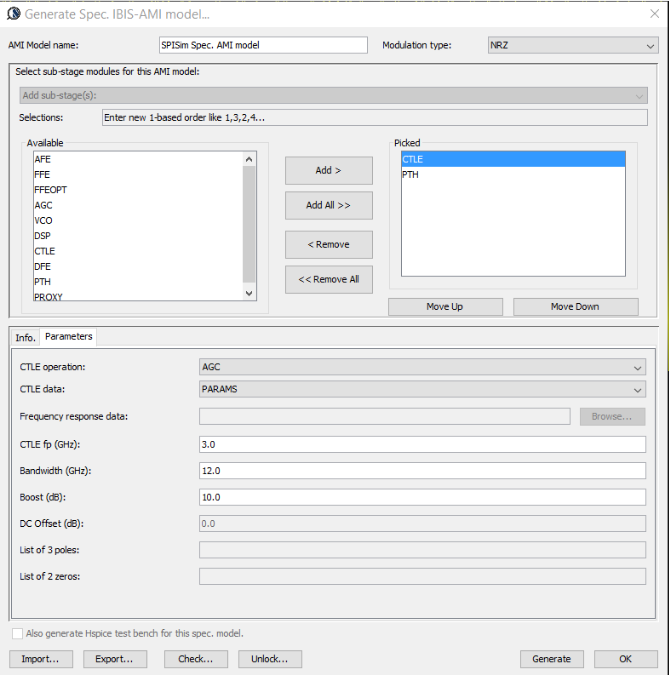 Not only do they provide AMI models and documentation, they also provide a GUI tool to let user check what combination of parameter are valid. In this case, they only provide one .ami file with all possible values inside. 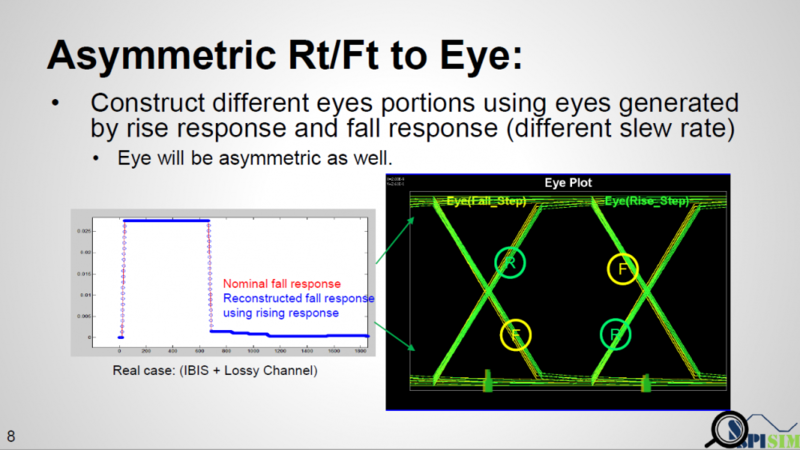 The second example is also from Altera but with different approach. 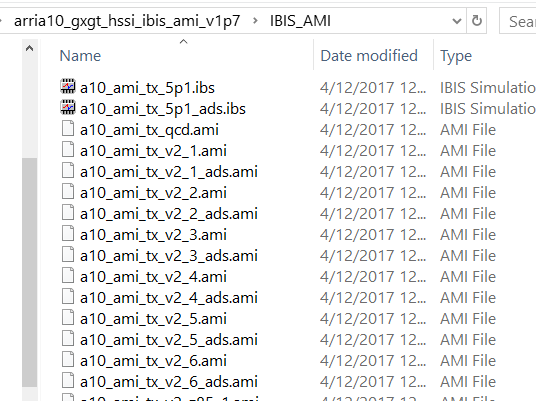 There are many different .ami files, each supporting different usage scenarios. 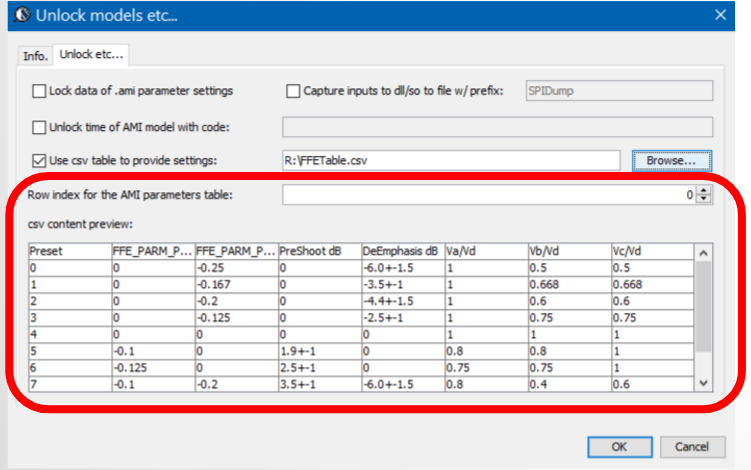 In our approach, we let user to assemble a csv table first with needed columns to provide settings for different modules, each row is a pre-defined configuration so no further check of valid combination is needed. 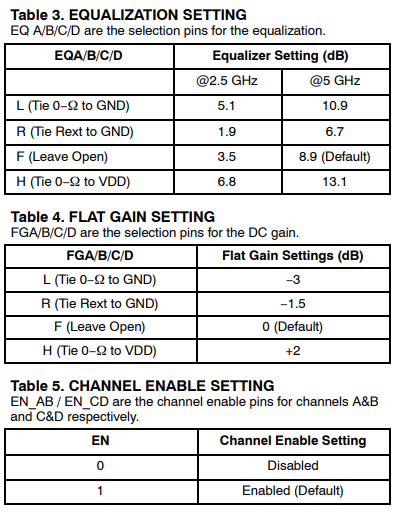 With this approach, customer only need to change the row index, rather than different settings of different taps or modules. More over, the table is encrypted and the model publisher can provide different set of configuration to different customers, all with same set of data and .dll/.so models. With our approach, user use our GUI front end to perform settings, then associated .ami file and pre-built .dll/.so files will be generated instantly. 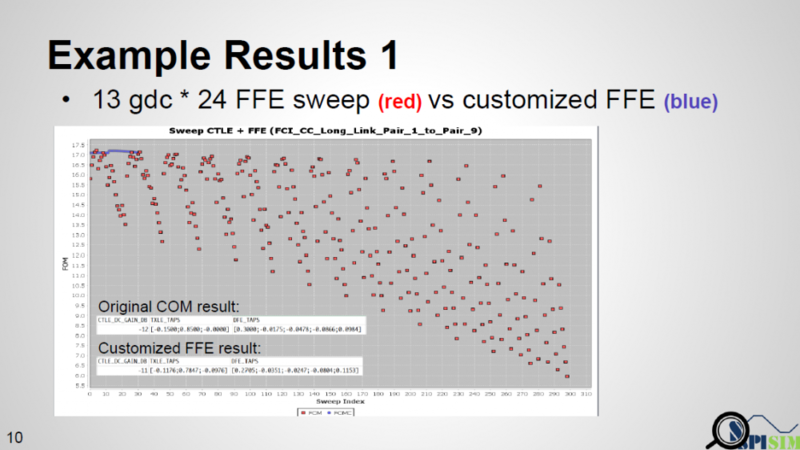 The .ami file contain minimized settings to make sweeping AMI parameters more easily. 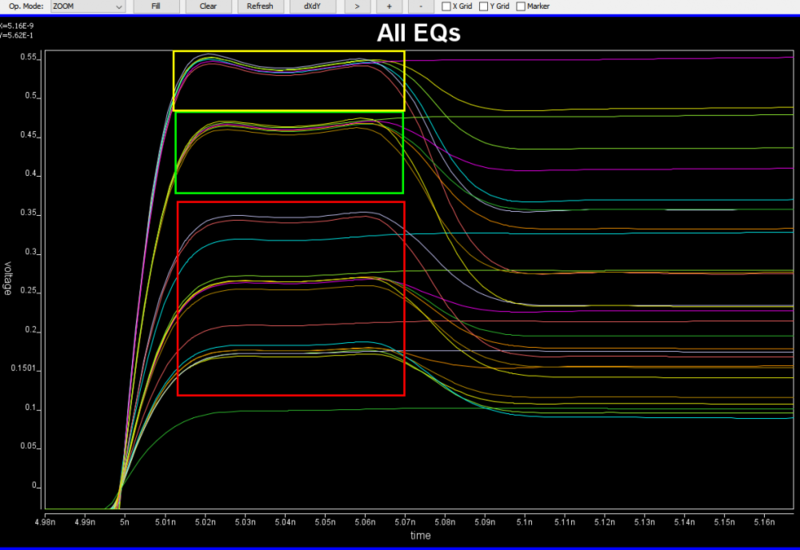 This minimized .ami settings will also make configuration within other EDA tool more convenient. 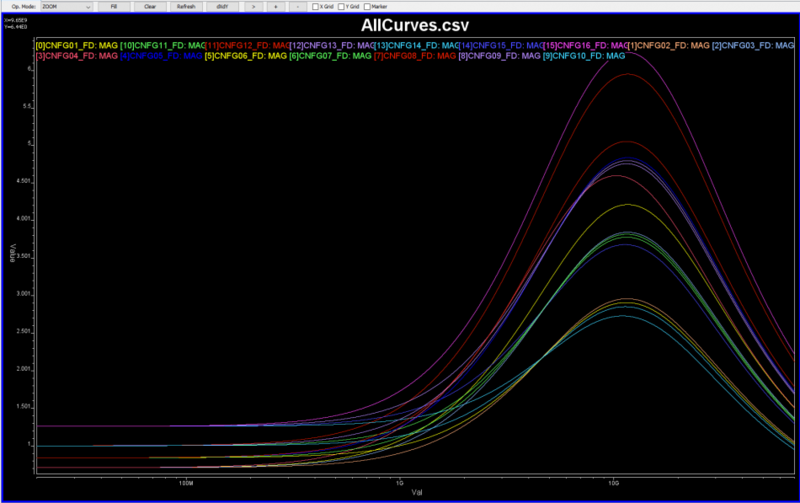 As a result, with the help of front-end GUI, the “black box” magics resides in both the .ami file and .dll/.so models. Use IBIS’s golden checker (IbisChk6) to check the .ibs file. If this ibis file contains algorithmic model section, then the associated .ami and .dll/.so file will also be checked based on the platform. This will identify compatibility issue up front. Use a test driver to drive the .dll/.so and .ami file. 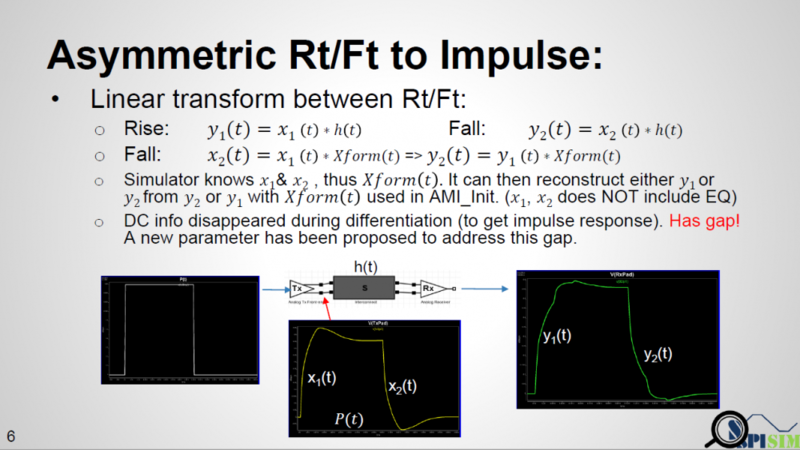 This step is like connecting an ibis model to a test load and run simulation. 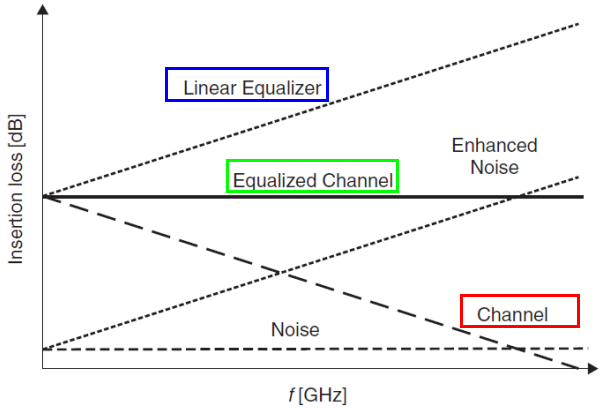 A model may pass the golden checker, yet if the test load waveform is not meaningful, then there is no need to put into the full channel simulation. This step makes sure not only the model can be loaded (has all required API function defined), but it can also function properly. 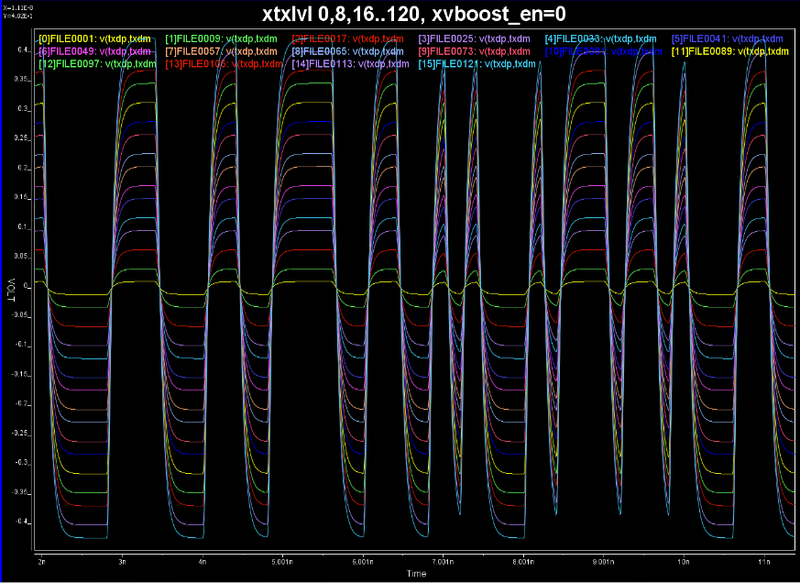 In HSpice and Ansys, this test driver is called “amicheck.exe” and require respective license to run. 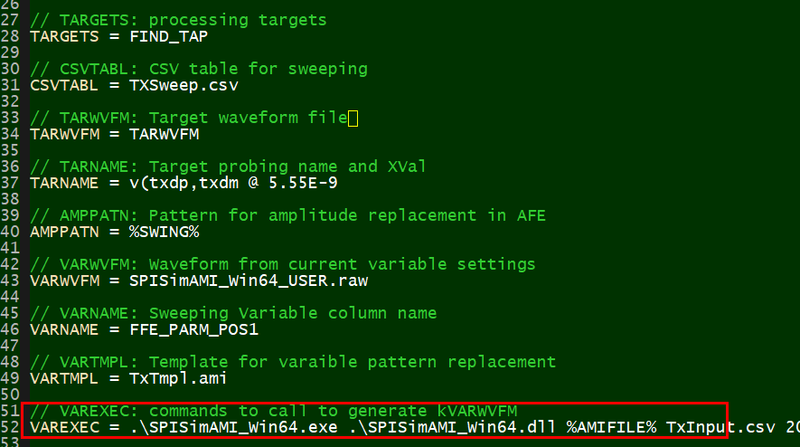 We SPISim also provide free checking/driver tool call SPISimAMI.exe for this purpose. 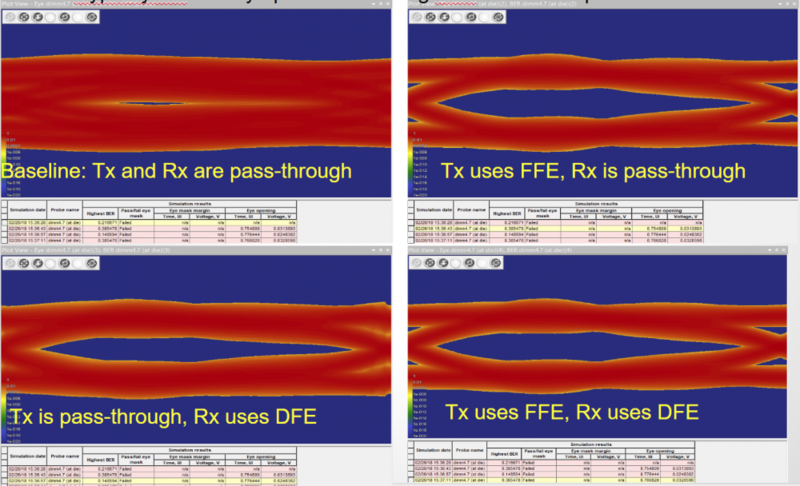 It has been often believed that IBIS-AMI modeling imposes a comparably high cost and technical barriers to get started. 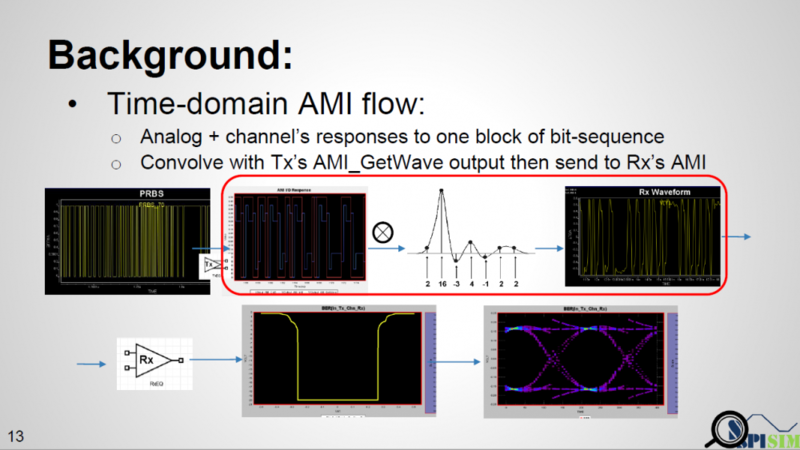 An AMI modeling engineer certainly has the due diligence to be familiar and understand the basic of link analysis or AMI flow. 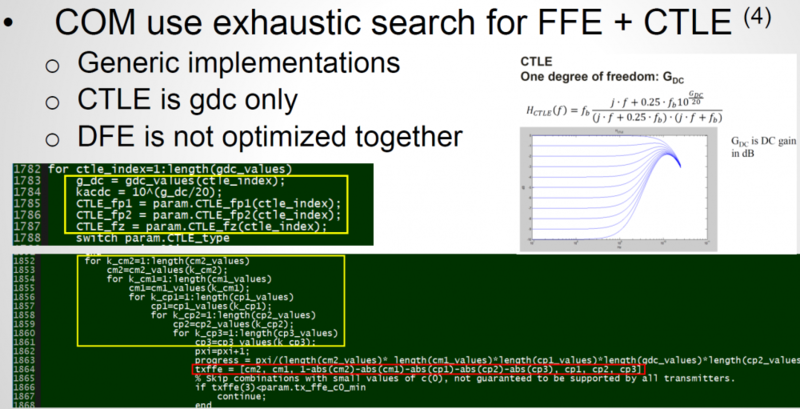 However, the requirements of implementing the models in C/C++ codes, compiling them into .dll/.so libraries, and being able to run on third party (often expensive) EDA tools with consistent results are often too much to ask for… or at least will increase the design cycle. 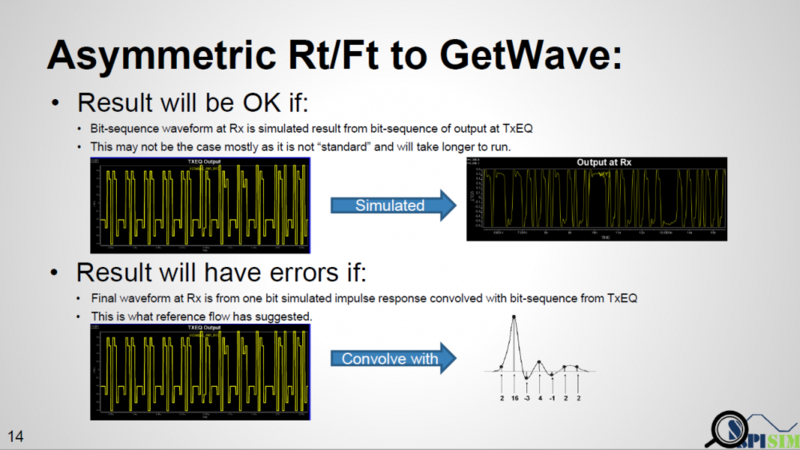 To meet these challenges, several big EDA companies have provided top-down based flow for AMI generation directly from architecture codes. In exchange with the “click-button” convenience, SERDES needs to be designed in its environment first and tool’s up-front expense also needs to be considered. Further more, the long term cost of the generated AMI models (in terms of model support, maintenance and extensibility) are often ignored. It’s also true that even with these top-down flows, compilation on different platforms (win32, win64, linux) etc are still inevitable. 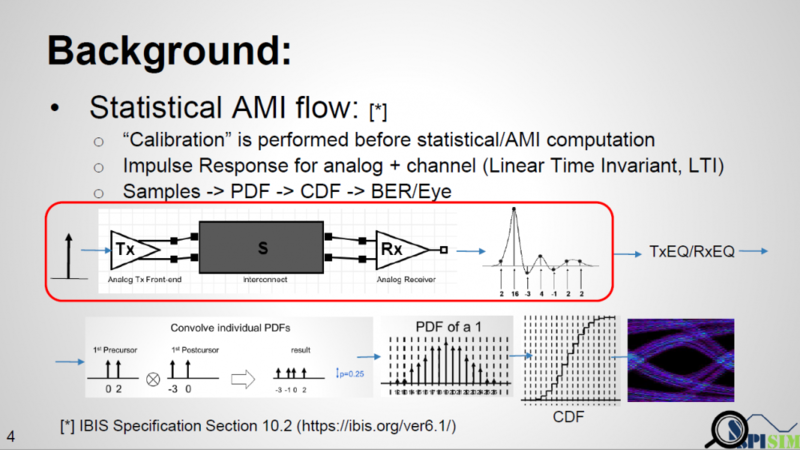 We published several free tools recently and presented a paper at the recent IBIS summit regarding AMI modeling. 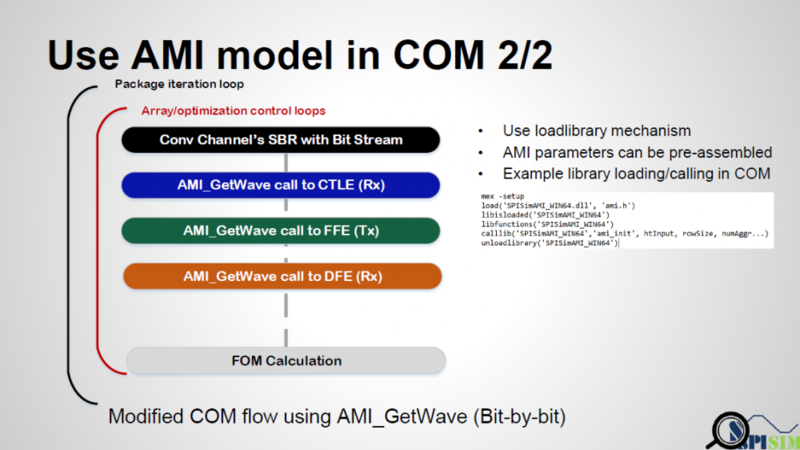 Together with other open source/free link analysis tool to be mentioned at the end of this post, we think it’s now a good time to consider an alternative AMI modeling flow. This proposed methodology in this post will be economic (no front end tools cost) and efficient (give SERDES/AMI developer most control). 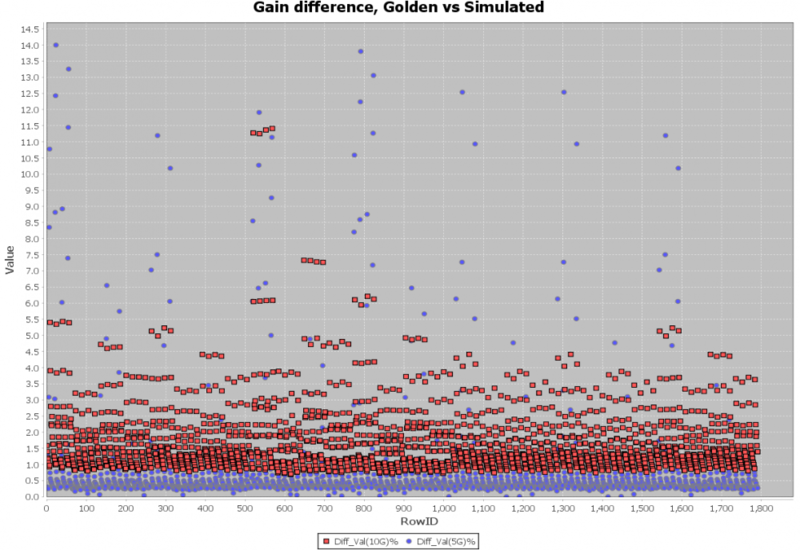 Engineers familiar with Spice-like simulator know that we usually only need one platform specific simulator (binary). 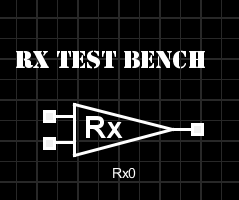 Schematics netlist is in plain text format and can be used cross different platforms (assuming good practice such as relative modeling path, file line endings are followed). A general purpose spice simulator is not design specific so there is no need to have different simulators for different circuit or IC design. This compatibility is achieved by building on simple rules, i,e KCL and KVL and linear algebra. 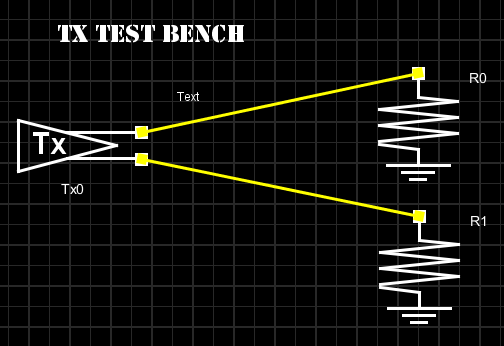 This way a simulator can decoupled from the implementation details of design specifics. 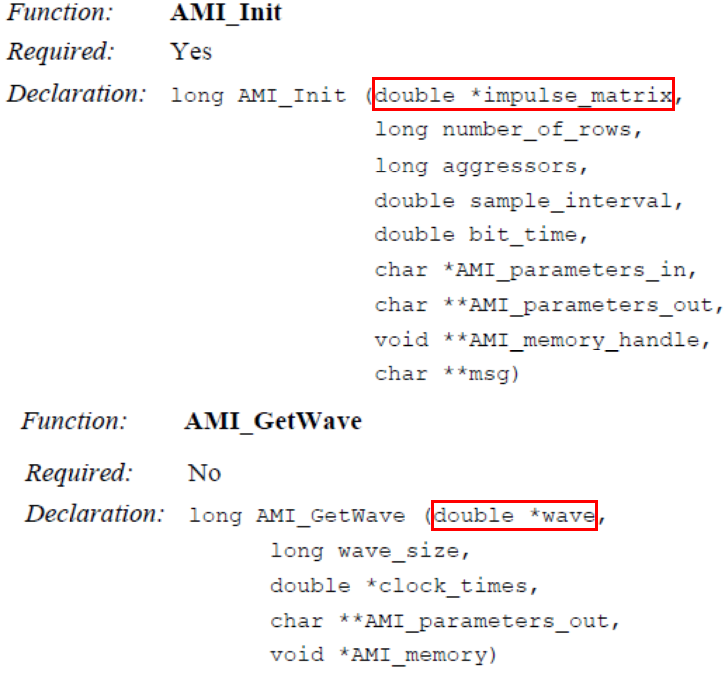 AMI_Init and AMI_GetWave are two main processing routines defined in the API spec. Various arguments are passed-in and the AMI models are responsible to perform designed algorithmic within the model then return these values in place. 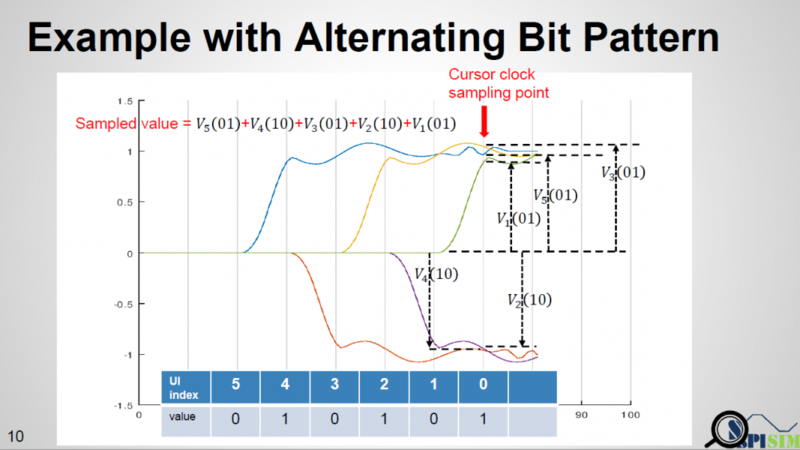 By “in place”, we mean the impulse_matrix’s and wave’s content will be modified in the same memory address before returning back to the calling application… which is mostly simulation platform or circuit simulator. Based on these observations, we can liberate the couplings between 1) link tool and models, and 2) models and underline algorithmic processing. Via these decoupling, an economic yet efficient flow can be made possible. 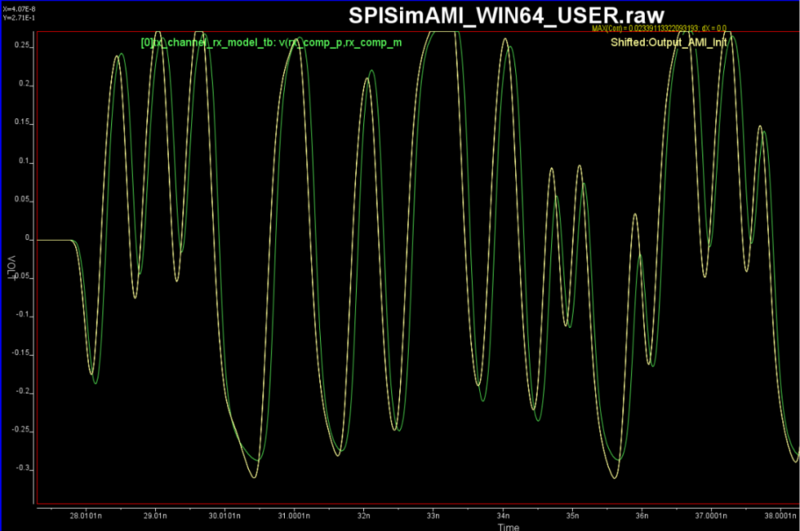 Take AMI_Init as an example, we can achieve this decoupling using SPISim’s free SPISimProxy model. SPISimProxy will write the argument received from the link tool to a plain text file. 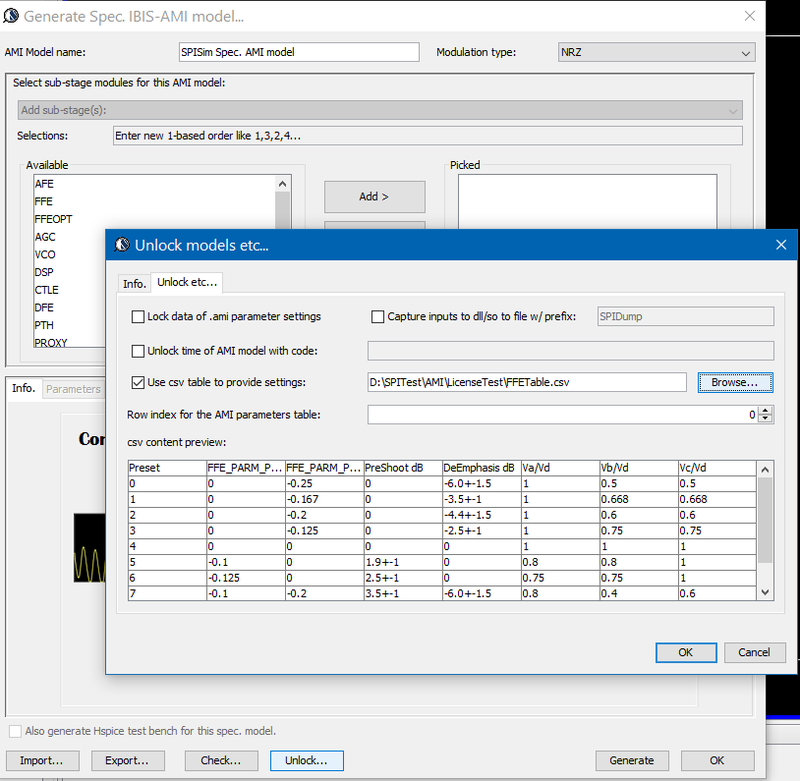 After the AMI model’s processing, it will again write out the processed data to another text file before finally giving back to the link tool. 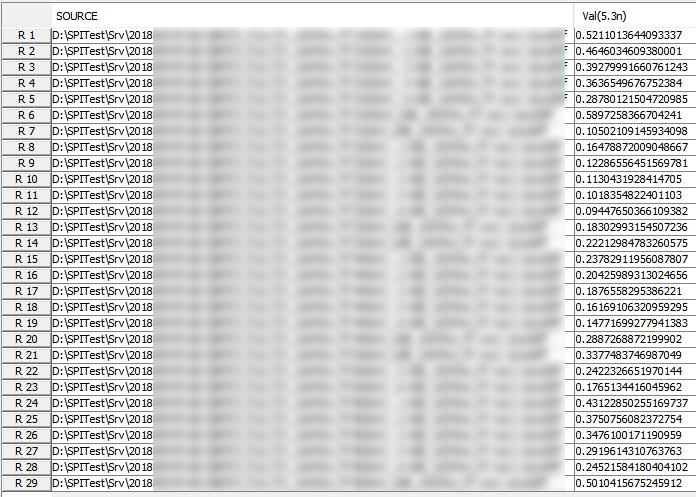 This way data being exchanged between link tool and the model are now exposed… even if they both are compiled binaries. The two blue boxes above represent such generated text data. 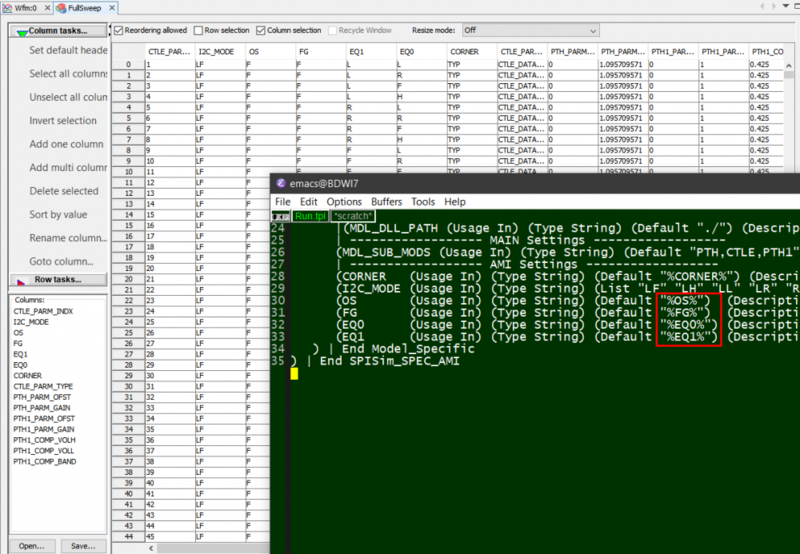 The main function of the AMI_Int function, purple block in the middle and existed in the model’s .dll/.so file as a form of the C function, is to transform input to output response. 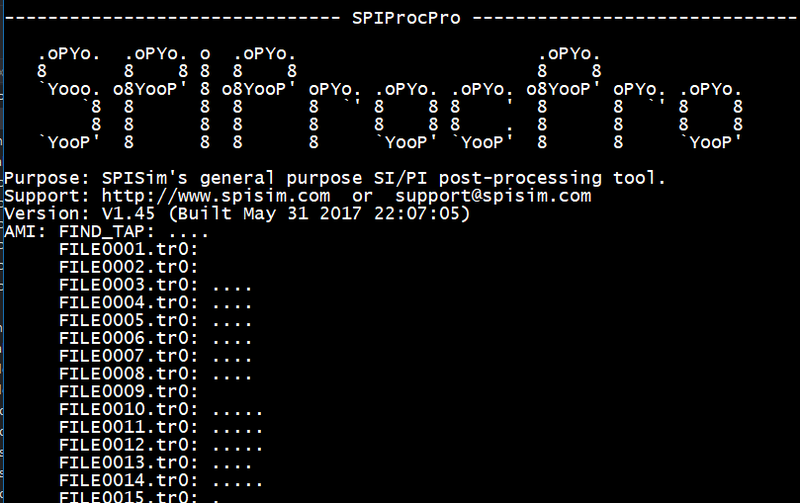 SPISimProxy will read the generated text data, form argument and pass back to simulator. Because each of these steps can be customized by Proxy’s .ami settings, a configuration file or even environment variables, AMI developers are now liberated to use what ever languages they preferred without dealing any C/C++ if they like. 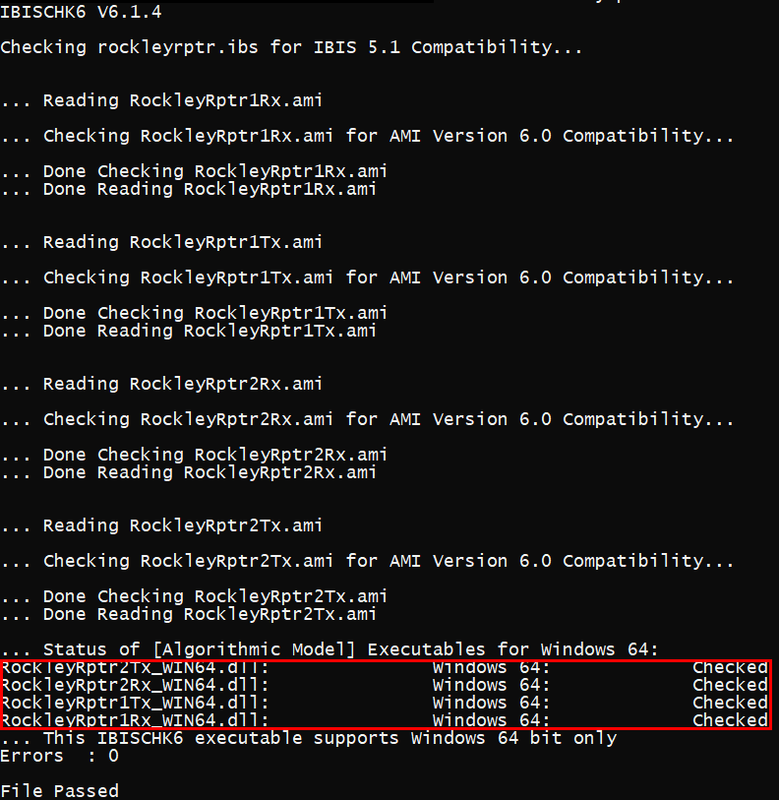 There is also no need for .dll/.so compilation as SPISimProxy has been pre-compiled to support most of the platforms. 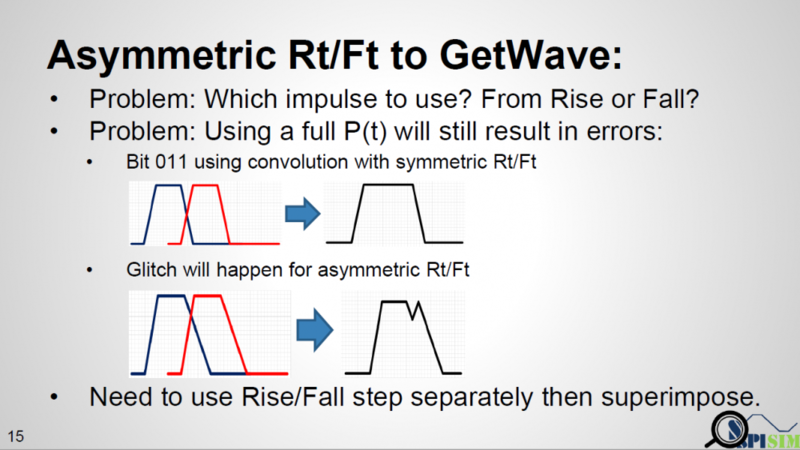 The example above uses AMI_Init as an example, other API calls, such as AMI_GetWave or AMI_Resolve can be done in similar fashion. Clean-up calls such as AMI_Close or AMI_Resolve_Close are also supported in SPISimProxy model so if needed, AMI modeler can also clean-up all these file traces at the end. Part of the arguments passed from the simulator is the model pointer. 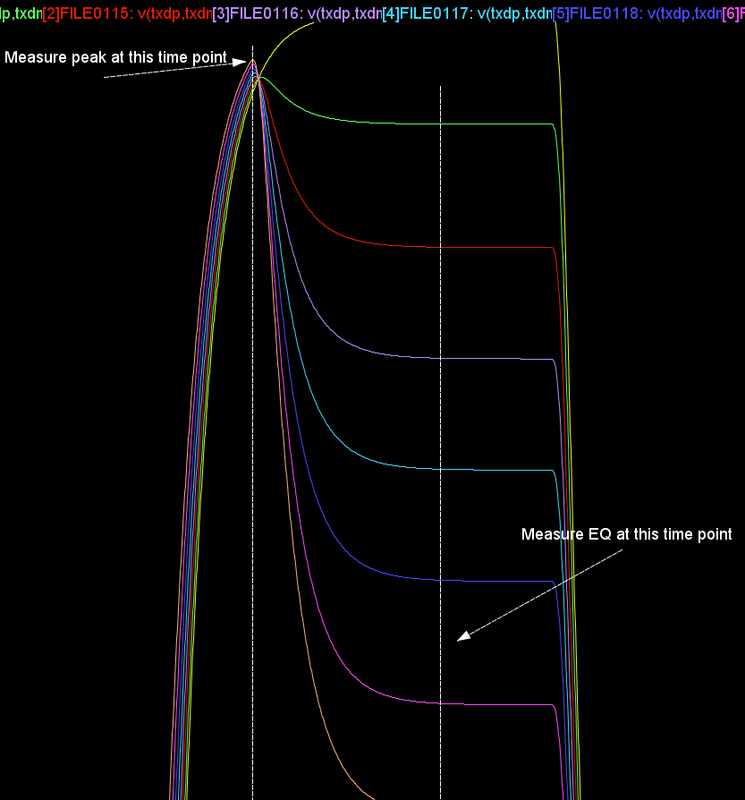 This model pointer (void*) is supposed to be persistent during the AMI process. 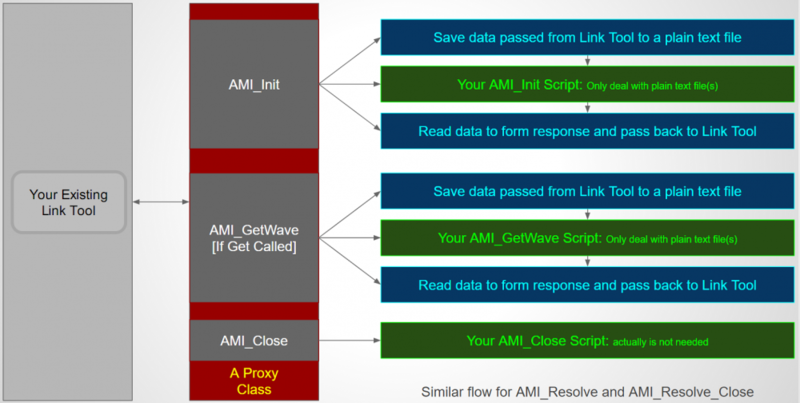 The script author may use file based persistence mechanism across AMI_Init/AMI_GetWave calls to store constructed data structure or settings etc. By avoiding using C/C++ specific pointers or data structures, the process becomes neutral and can support many different languages. 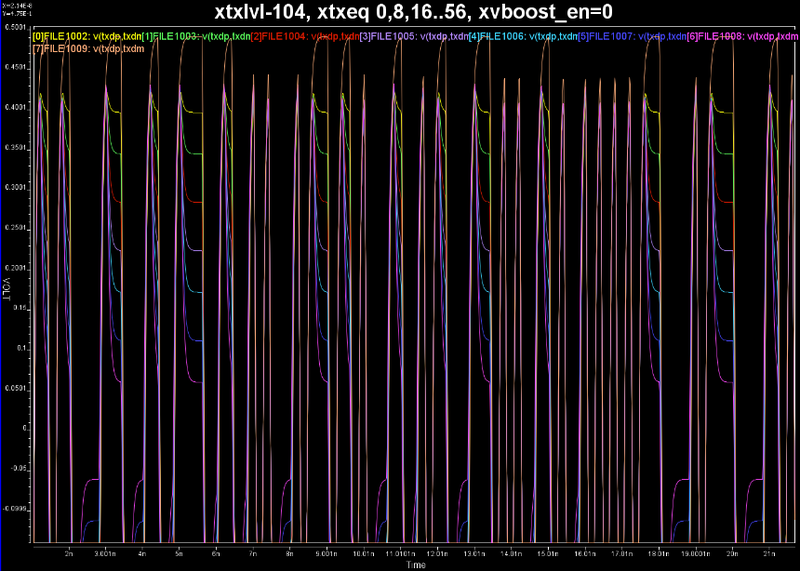 The aforementioned process requires an application to drive the proxy model, and thus the modeling scripts. This can be achieved with our free SPISimAMI.exe. It’s again pre-compiled to support most platforms. 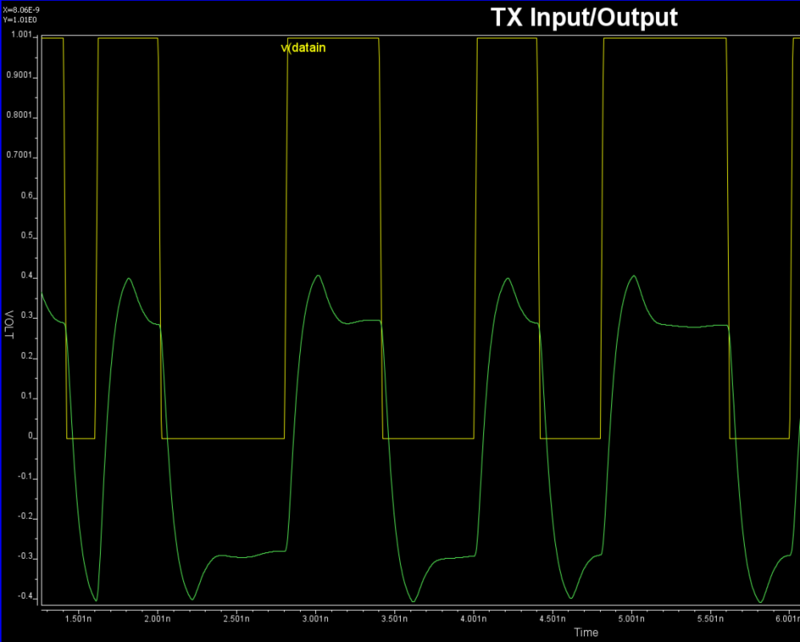 Its built-in pulse response enable user to model LTI based AMI process directly. 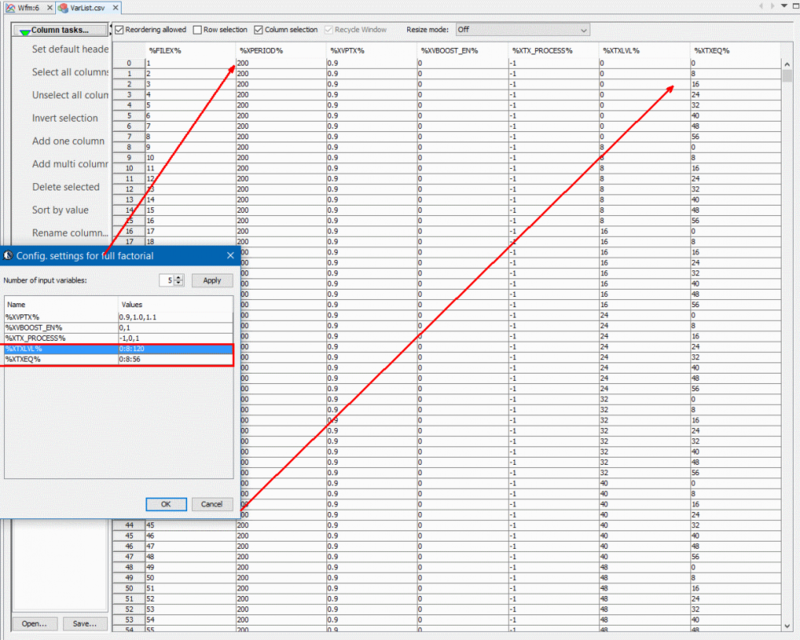 For bit-by-bit based input data, user may use our SPILite or other free simulator such as our SSolver or NGSpice to generate bit sequence, then feed this input in .csv format to the application. 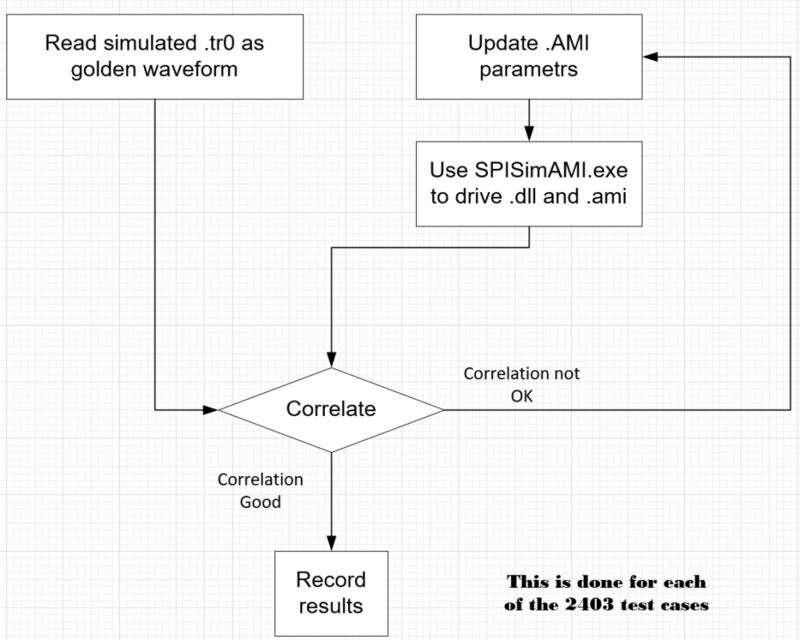 SPISimAMI will then take this user’s input, form the proper arguments and send to underlying AMI models… it can be modeling script current under development, or an existing IBIS-AMI models for testing or validation purpose. SPISImAMI can also be used to drive an existing AMI models via SPISimProxy so that user may get insights about this process. 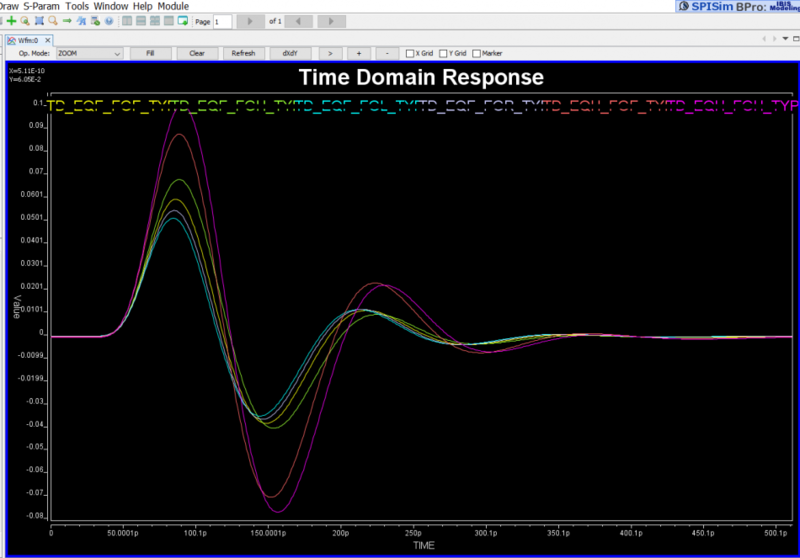 In the demo video we posted on SPISimProxy page, a matlab script has been used to demonstrate the AMI_Init process. Once the given response work properly with the prototype implemented in modeling scripts, next step is to run them in a link tool for BER like analysis. For this purpose, pyBert may be used as it also load IBIS-AMI models, including our SPISimProxy. Up to this point, there is no front-end cost involved in the AMI modeling process and a developer only needs to use his/her own favorite language to deal with plain-text input/output. 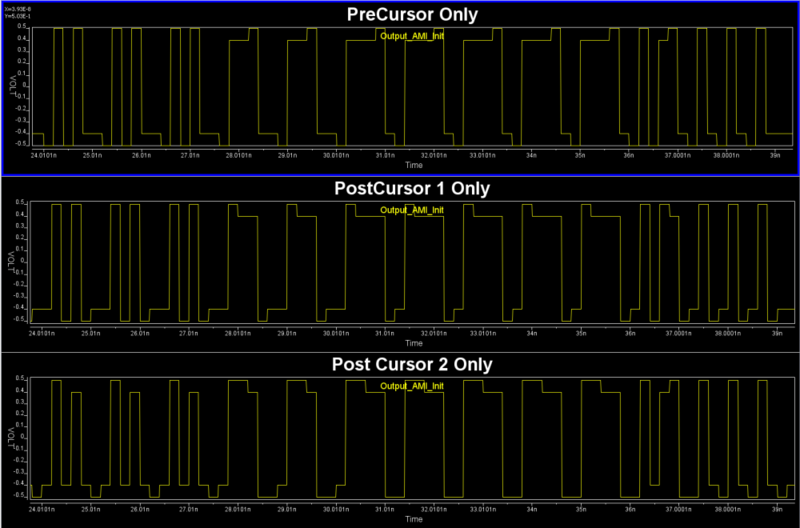 In addition, the debugging and testing of the model prototype can be done with direct command call instead of multi-step GUI operation/invocation. This not only avoid license needed with 3rd party tool, but also ensures an efficient work flow with easily repeated consistent results. The model publisher may encrypt the script if needed, then distribute as they are. 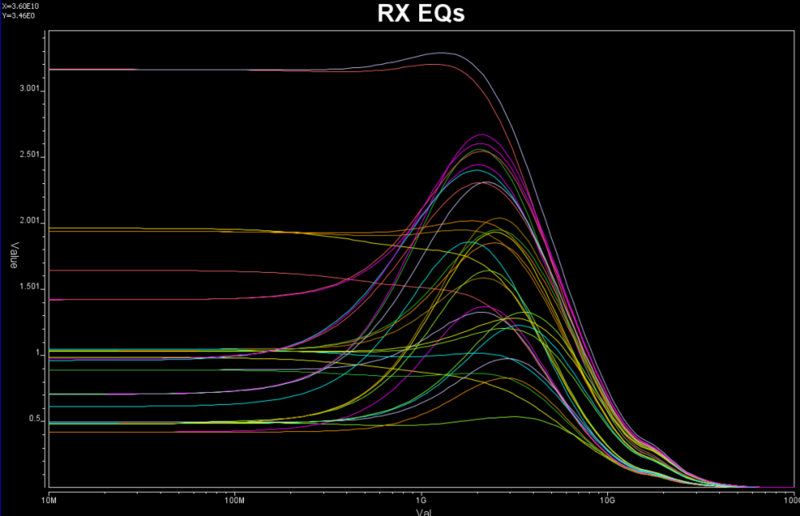 This will produce most accurate results as they have been validated by the author during the modeling process. The disadvantages include that: 1) it’s less efficient as the data exchanged between the SPISimProxy and the modeling scripts are file based, 2) the model recipient may need to install other run time interpreters such as perl, python etc in order to run the encrypt/compiled script, and 3) the client also needs to download the SPISimProxy from our site as unlicensed redistribution is strickly prohibited. We can work with the model publisher to provide specific API to the prototype model such that the IP and accuracy are still maintained, yet the performance will be improved dramatically. We can also remove the unlicensed terms and add the proxy class to have your company’s name so that you can distribute SPISimProxy together with your model. 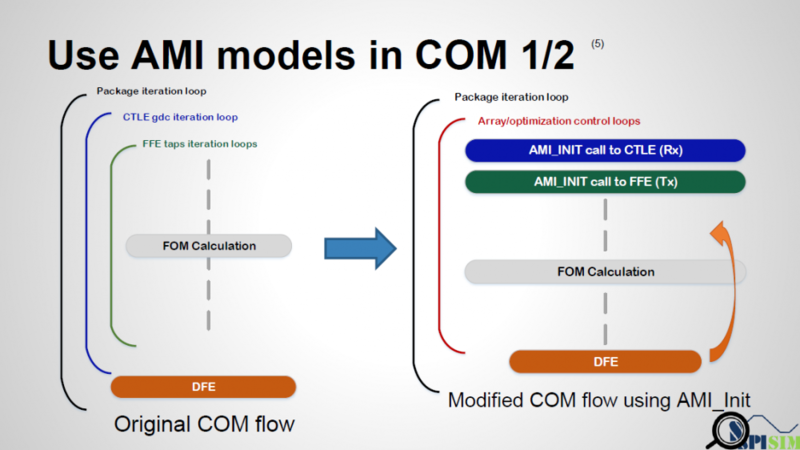 We can also create the corresponding AMI model with pure C/C++ codes to that there is only one model to be released with best performance and convenience for the clients. The modeling flow suggested above is not proprietary and can also be implemented within the corporation or the modeling team. 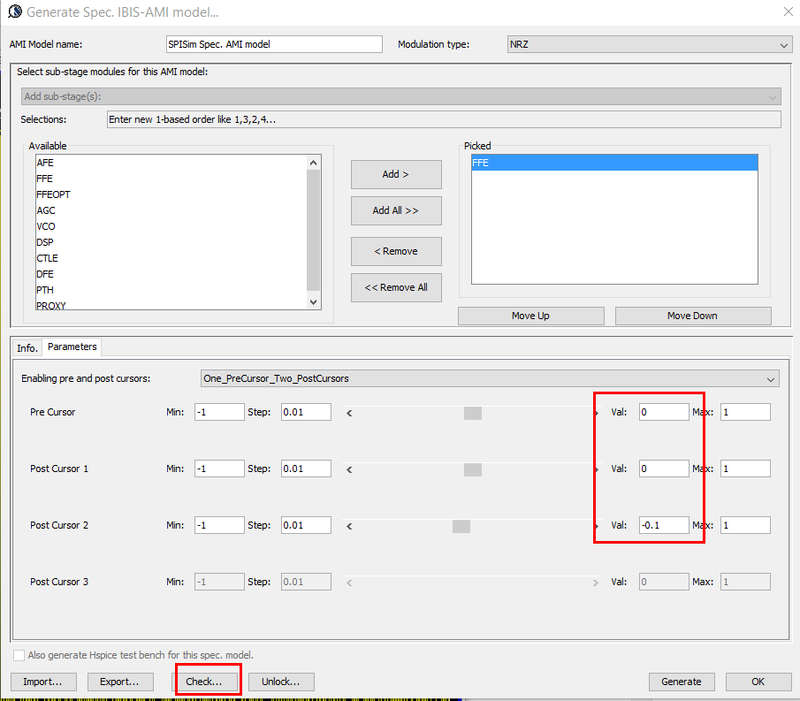 We believe that with the liberation of the modeling engineers from these unrelated AMI modeling process, they will be able to focus more on the core business logic, i.e. the algorithmic part and deliver the best quality model for the industry’s progress. Those non directly related tasks can be left for other EDA professionals (* cough *) if needed.